We can all agree that the current market for console gaming is nestled firmly between battle royale and looter shooter titles, with some of the years hottest games pulling you in for 100 player battles or riding the grind. Because of this, you may have missed this unassuming little MMO for consoles poke its head onto the digital field and thats okay; when you are done building fortresses in seconds or exploring the same cave for the 100th time, Black Desert Online might just be the next thing to grab your attention. Console MMO’s don’t come around too often – the genre is best designed for PC after all – but Pearl Abyss has put together something that is accessible, beautiful, and won’t murder your wallet. Curious to know more? Check out our impressions below. 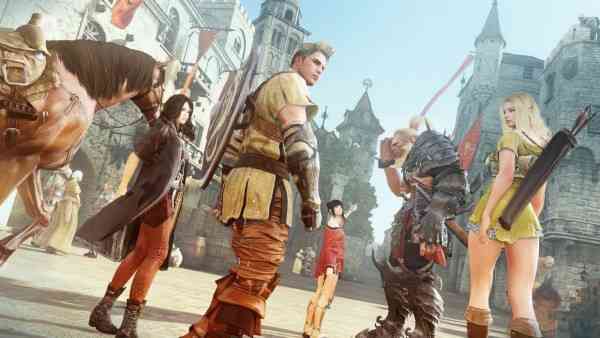 Originally released on PC, Black Desert Online is a sandbox MMO set in a medieval fantasy world in which combat relies in precision clicking and combinations of commands for abilities. It features a dynamic weather system that can cause global effects, creation and furnishing of your players house, and a variety of typical MMO tropes similar to WoW, ESO, and Diablo. The game pits two rival nations against one another with the player caught in the middle of the conflict. New content and expansions have been periodically released on PC since its initial release but it’s only recently the game has made its way to home console. Black Desert Online is out now on PC and Xbox One, with a future release date on PlayStation 4 yet to be announced. What do you think of this fantasy MMO? Will you be picking it up? Let us know on Facebook, Twitter, or the Comments section below. For more information, check out the game’s official website.